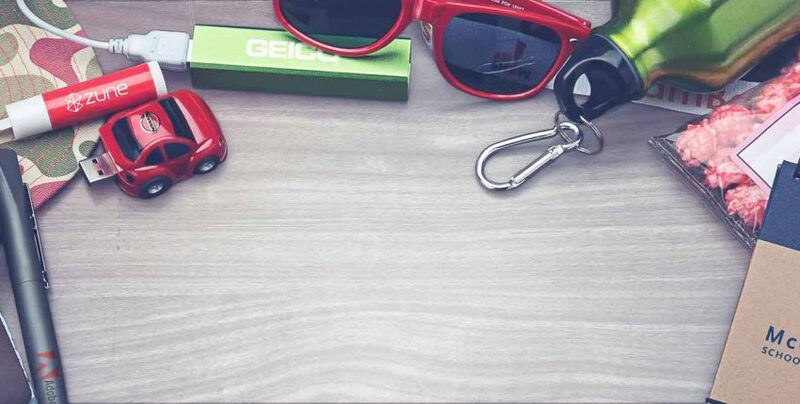 The Critical Role Today's Promotional Products Play in Delivering Impressions | Norscot Group, Inc.
Today, most companies are focused on finding the maximum number of impressions via social media and other digital marketing campaigns. While social media and digital marketing should play a role in a company’s marketing mix, a channel that is just as important in delivering valuable impressions is promotional products. Most marketing practitioners would tell you that one of the most important metrics in measuring the success of a campaign or promotion is impressions. Impressions are the number of times your product or brand has been seen, actively or passively, by a member of your audience. It’s not necessary that a member of your audience engage with your brand in order to mark it as an impression; it’s simply that they saw it. The growth of social media marketing has given amplified meaning to impressions and how they impact the overall results of marketing campaigns. Impressions play an important role in leading prospects to engagement and ultimately to conversion. Often, social media campaigns are measured purely by impressions, with the understanding that a certain number of impressions should contribute to conversions. In some instances, it’s much easier to measure impressions if the landscape is a purely online platform, and if “X” number of impressions lead to “Y” number of clicks, then that should translate into “Z” number of conversions. That’s fine if the product or service is purely online, but if the sales cycle is longer and the product or service is more enterprise level, practitioners cannot simply count online impressions. That’s why one of the most important components of making a long-lasting impression on your target market is the use of promotional products. Promotional products today are a far cry from how promotional products were viewed and used 15 to 20 years ago. Then, promotional products were often used as a way to simply be “in the game.” Many companies used promotional products because their competitors were doing so and if they were to show up at a conference or trade show without a nice little giveaway, then event traffic would suffer. While a component of that is still true today, promotional products have taken on new meaning in terms of making a lasting impression among members of your target audience. High-quality promotional products should be thought of as tools leveraged for lasting impressions. While a prospect – whether they be a decision-maker or an influencer – might see an online advertisement a few times, those impressions represent a cost. Once someone clicks on the link, there is a specific cost associated with that as well. Once that link is clicked, depending on what it is they are clicking for, that campaign has run its course. Promotional items, on the other hand, is the gift that keeps on giving. A promotional item almost always has a longer life span than an online marketing campaign. It’s not here today and gone in another couple of weeks. In addition, higher impact promotional items being used today don’t just site on shelves collecting dust nor are they given to the dog as a new chew toy (unless, of course, the item is actually a chew toy). Today, promotional items have real, practical uses, whether it’s for utility or for fun. Examples of high-quality promotional items that make lasting impressions include selfie drones operated by apps via your smart phone with the capability to take photos and videos. This kind of promotional item is something that will not get thrown away. In fact, as more people rely on drones to take photos of real estate, family outings, vacation spots and more, this item – featuring your company’s logo – will get used over and over by your prospect or customer. In addition, it will be seen over and over again by anyone your prospect associates with. Another high-quality promotional item perfect for long-term impressions is a heavyweight fleece jacket, ideal for casual outings and with the ability to be worn everywhere. Your company’s logo would receive continuous impressions among your prospects and their colleagues, in addition to family and friends. A third item suited to act as a reminder to your prospects and customers is a foldable wireless mouse. Used every day at the office or when traveling, this attractive item is unique enough to attract and keep someone’s attention but is something that has practical usefulness on a daily basis. These three examples illustrate that you don’t have to spend a fortune to make a lasting impression on your prospects and customers. These items can pay long-term dividends well after a typical social media campaign has come and gone. Promotional items continue to play a critical role in any company’s marketing mix. Making sure the items you choose to make that lasting impression should not be viewed as a one-time endeavor, but as an ongoing initiative designed to deliver impressions of your company for years to come.